AC/Yam Adapta-Link by White Out Technologies - Grip N Rip Racing LLC. Adapta-Link allows you to attach BRP's LinQ™ system to your Arctic Cat, Polaris and Yamaha snowmobiles. With more narrow tunnels this was not previously possible but our Adapta-LinQ now allows you to integrate the convenient attachments offered with the LinQ™ system. 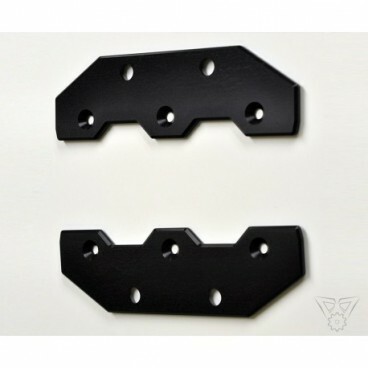 Our Adapta-Link is CNC machined from 6061 aluminum and is complete with black anodizing finishing. All mounting hardware included. 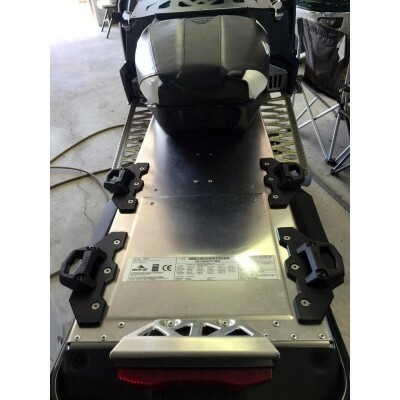 BRP's LinQ™ Base Kit (860200583) available for purchase on our website. Not included in this kit.